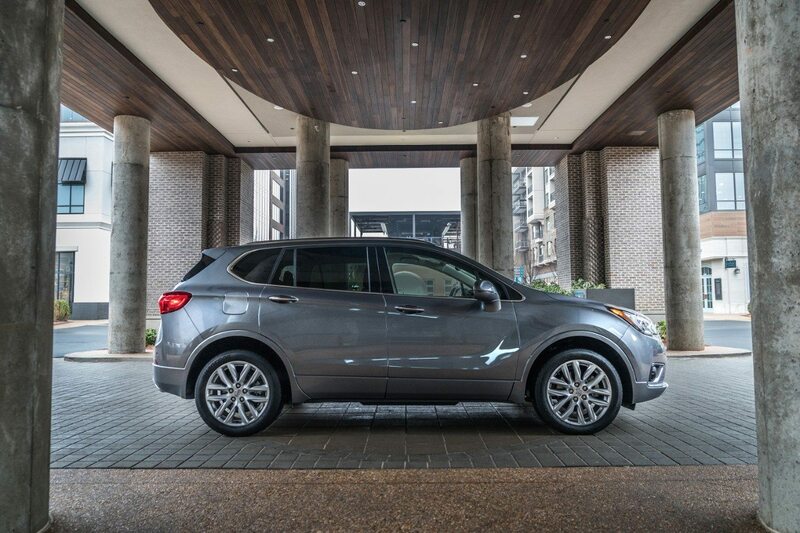 Approaching its fourth model year, it’s entirely appropriate for the Buick Envision to undergo a round of updates for 2019. A mid-range crossover needs to be fresh, on its toes, primed for a fight. Yet in addition to the Envision’s newly optional nine-speed automatic, greater 2.0T torque, mild styling alterations, and a number of less noteworthy changes comes one vital adjustment. 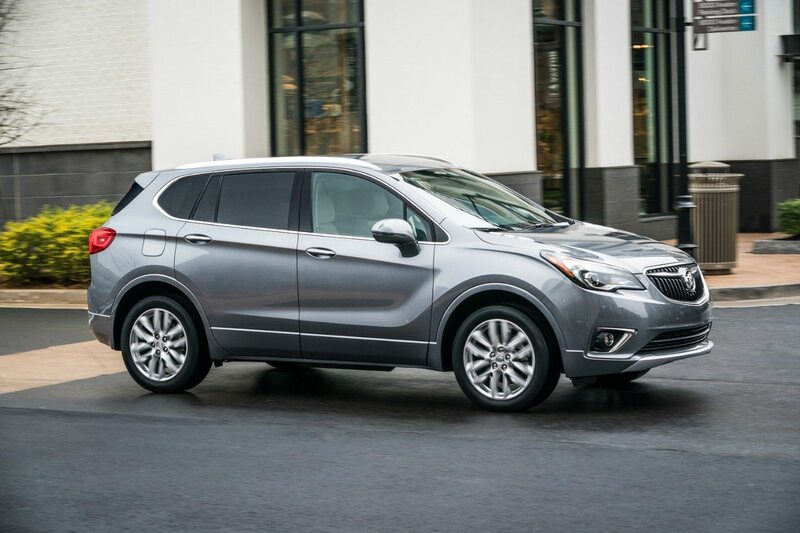 The 2019 Buick Envision will also be cheaper. Until the present, the Envision hasn’t been a sales flop for GM’s near-luxury brand. But it’s certainly been no raging success, trailing both the more costly three-row Enclave and smaller Encore in U.S. sales volume despite sitting in the meat of the market. In 2017, Buick reported more than two U.S. Encore sales for every one Envision sale. And even as the outdated Enclave reached the end of its tenure in 2017, the brand’s flagship was still outselling the more affordable Envision, as well. That trend has continued through the first one-sixth of 2018: the Encore is 94-percent more popular than the Envision; Enclave sales are up 3 percent, year-over-year, to 5,858 units while Envision sales are flat at 5,329. The problem is not related to an inventory shortfall. 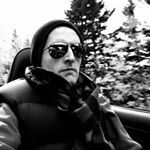 (More to the point, the 2019 price cut should theoretically help draw down inventory, and not just in the future. Buick dealers won’t be able to sell 2018 Envisions for more money than the updated 2019 Envision.) Cars.com is currently showing 14,600 Envisions in stock at U.S. dealers. More than 6,000 of those Encores aren’t current model year vehicles – they’re 2017s. A handful are even leftover 2016s that still haven’t sold. So why has Buick seen its mid-range SUV pile up at dealers, with the company currently holding onto roughly five months’ of Envision supply? To put it simply, Buick is selling far fewer Envisions than its Chinese factory is building. But the reasons for the Envision’s underwhelming marketplace performance are varied. The Chinese assembly location could soften demand, albeit likely only in the most modest way. U.S. consumers have long been acquiring vehicles built far away from America, including countries with low-wage labour. The launch plan was awry from the get-go. The decidedly-not-hi-lux Envision was first released only with the turbo and AWD in Premium 1 ($42,995) and Premium II ($45,635) iterations. By the time the $34,995 Encore was released for 2017, it was comparably priced with Buick’s hoped-for rivals – Acura RDX, Lincoln MKC, and Lexus NX – but the Buick was dramatically underpowered in that sector and lacked the prestige and premium feel. The 197-horsepower 2.5-liter base engine is strained when prodded and is accompanied by poor steering and an interior with blanked out switches, brown cloth, awkwardly intersections materials. It’s not just the premium-badged competition that embarrasses the Envision. More spacious and more powerful GMC Acadias are comparably priced; a similarly-sized Chevrolet Equinox is far better equipped at the Envision’s price. But if the Envision was increasingly popular, why drop the price? “The new pricing strategy not only puts the Envision in the heart of the industry’s largest segment,” Buick says, “but also better positions it in relation to Encore, our top-selling nameplate.” In other words, Buick wants the step from Encore to Envision to shrink, because the previous leap revealed the Envision’s poor product positioning. Indeed, customers simply had, have, (and will likely continue to have) better options for their money. As a result, Acura sells 25-percent more RDXs, Lexus sells 45-percent more NXs. 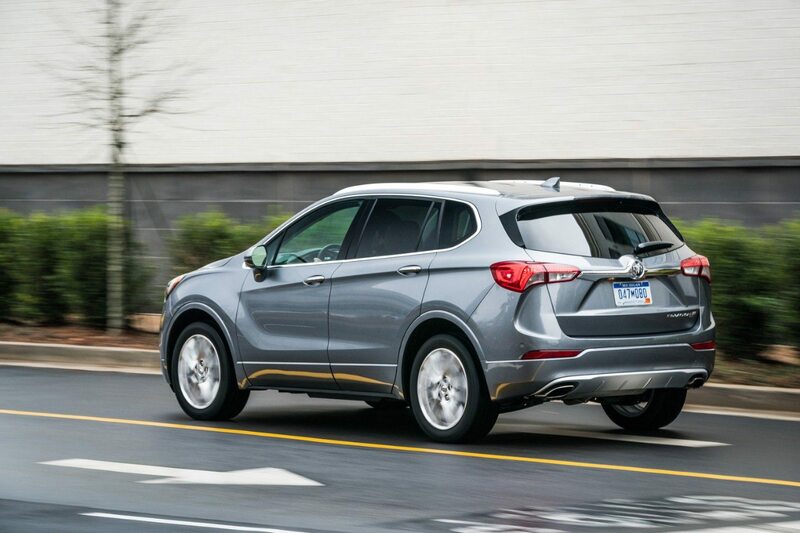 The Buick Envision isn’t inherently unappealing. Yet because of its excessively premium price, it was unappealing in the current market. The modest price cut won’t change that. For the Envision to truly develop a following, the Envision’s price would have to be far more Chevrolet; far less Cadillac.